One of Wes Nishimura's paintings that will be on display on Saturday. I remember very clearly the day Wes Nishimura died. I was standing in front of the cafeteria at Westmont College, listening in disbelief as a friend told me that Wes had killed himself. That was November 2003, during our junior year of college. Wes and I had been friends during freshman year, largely because he lived directly downstairs from me in the dorms. He was also the subject of the first news article I ever wrote, a profile assignment for a journalism class. As our schedules got busier, our friendship dissipated, although I never took for granted his friendly, unassuming smile or the warm way he greeted everyone who crossed his path. 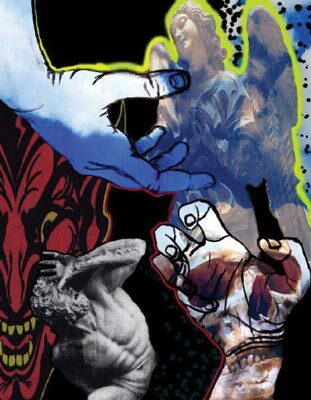 I grew to know him more as an artist, a creator of bright, innovative images in the style of old Japanese paintings. Although there are plenty of things to remember about Wes, one of his best friends from Westmont, Dustin Vereker, decided recently that the best way to pay tribute to Wes was to put together a collection of his artwork along with other pieces done by friends. After running the idea by friends Jordan Darby and Cameron and Sarah Squire, Vereker checked with Allan Nishimura, who was grateful and excited about the project. Sarah Squire currently is the arts coordinator at Westmont, and while she worked on the logistics, Darby, Vereker, and Allan culled together Wes’s artwork and contacted other friends who might want to contribute. The result is this Saturday evening’s one-night-only event at Westmont’s Deane Chapel, which is a combination art exhibit, slideshow of photographs of Wes’s life that Allan put together, and concert of songs selected and performed by Darby and Cameron Squire. Enjoy an evening of art and music in remembrance of Wes Nishimura on Saturday, December 13, at 7 p.m. at Deane Chapel at Westmont College (955 La Paz Rd.). 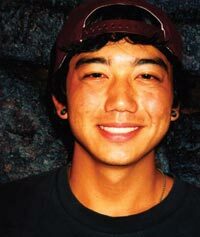 Donations, which will go to the Wes Nishimura Memorial Art Scholarship at Westmont, will be taken at the door.